Available now, $569 with free shipping and your choice of mount. That looks awesome. Not much data out there but looks like about 140 at the ear. Not too shabby for that small of a can on a rifle. Wonder if there will be a 5.56 endcap available? Last edited by Hansohnbrothers; 06-19-2017 at 10:36 PM. I like the price and size of this. Actually extremely impressed compared to a lot of the snubby cans out there from an added length/value standpoint. I wonder the what the numbers were for BLK. The only things worth fighting and dying for, aren't things. Does any one have any real work experience with the sandman K? 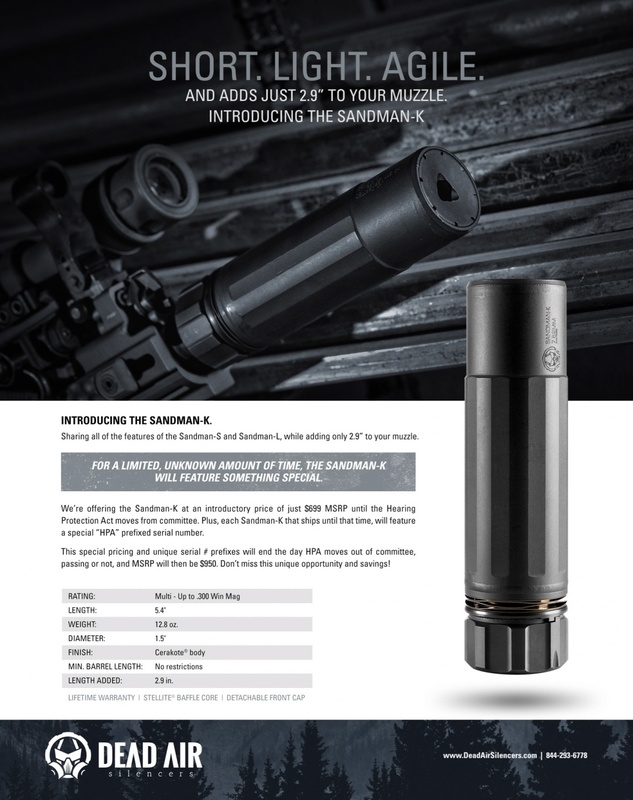 Buddy wants one but for $250 more I would get the S as you kinda buy these for life, and whats another $250 in the nfa world.